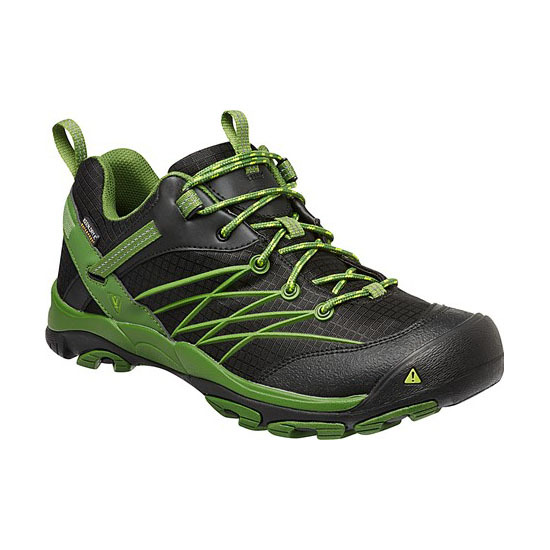 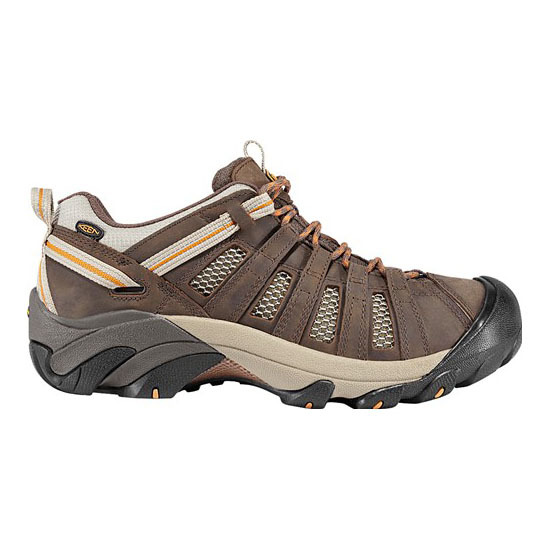 All the best features of a hiking shoe and a sandal in one comfortable style. 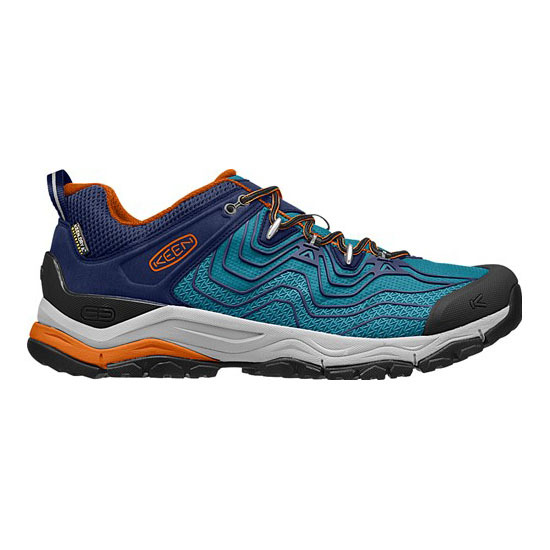 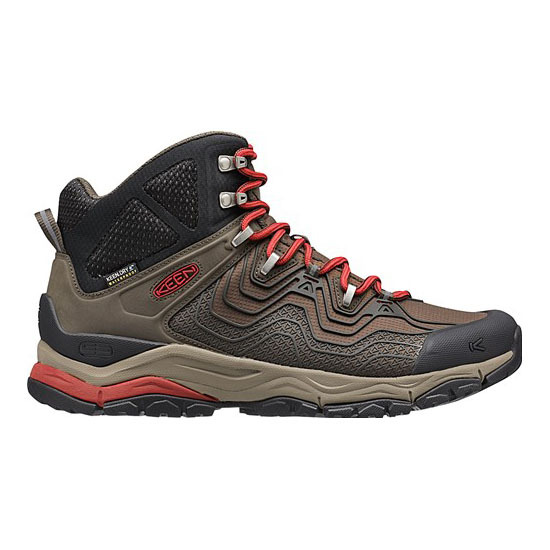 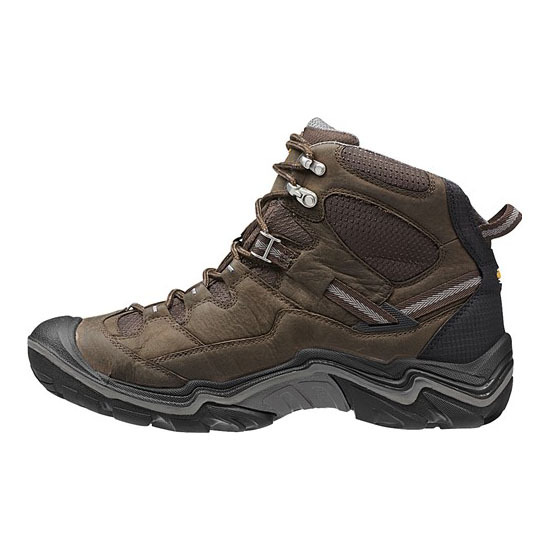 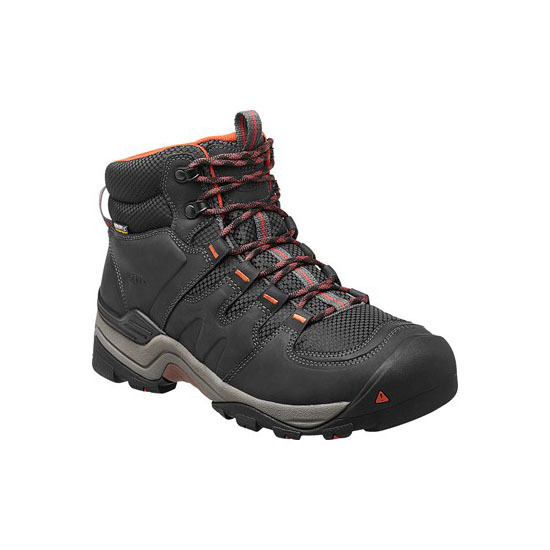 Open vents in the waterproof leather provide maximum breathability, and the multi-directional lug outsole bites into tough terrain. 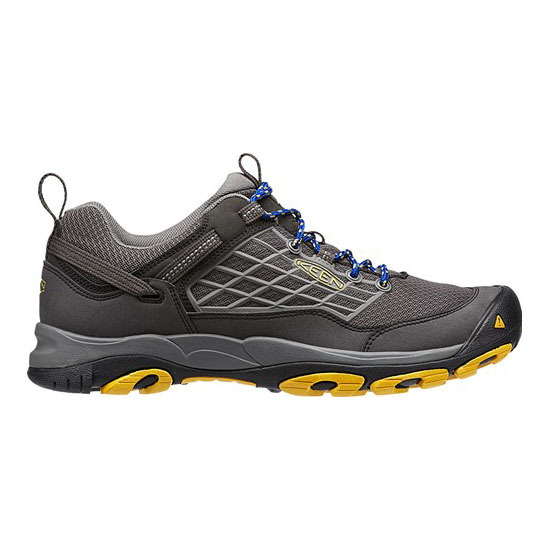 I like these, I can walk for 10s of miles at a time and my feet never blister or sweat. 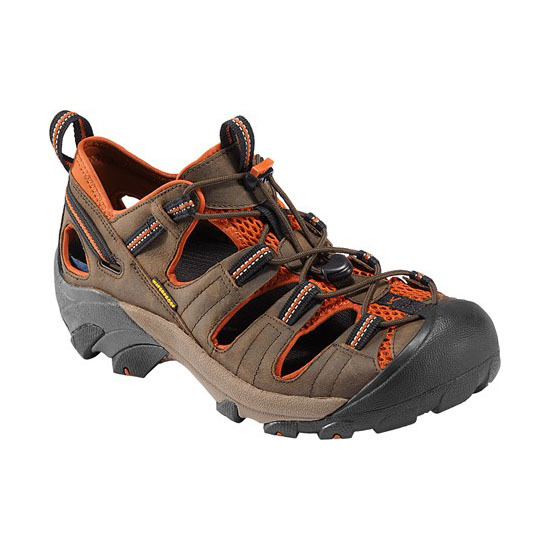 I have walked through four pairs over the last few years, lots of Dartmoor walking carrying heavy packs (total weight > 150kg) so they do wear a bit. 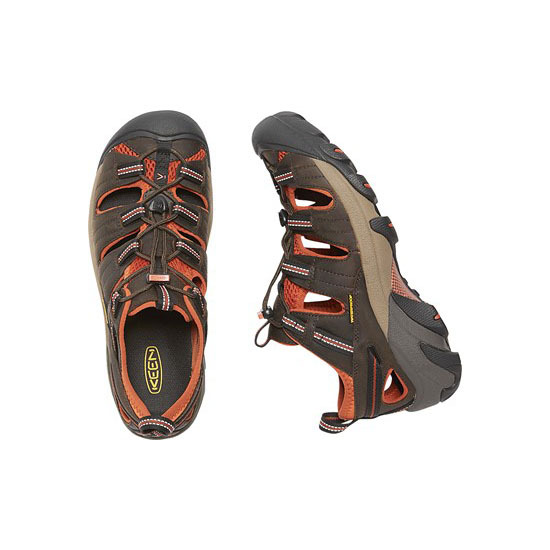 They aren't waterproof, just moisture proof, so there's no point in trampling through streams, but rain is ok. Just remember to top up the waterproofing with some water based waterproofing agent.